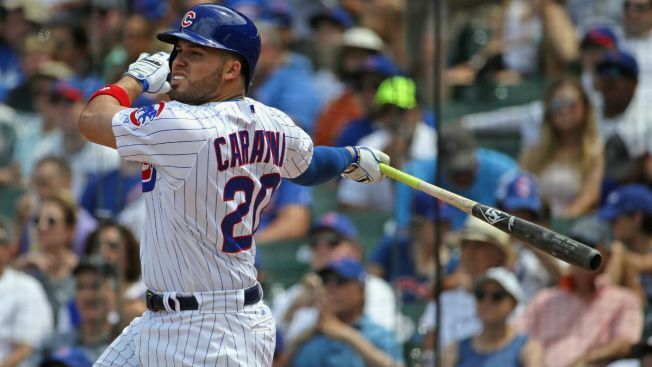 The Chicago Cubs were dealt a blow on Thursday night when catcher Victor Caratini suffered a fractured left hamate bone, landing him on the injured list. Caratini, who hit a pair of doubles in Thursday’s game, will miss several weeks due to the injury, according to the team. He will be replaced on the active roster by catcher Taylor Davis, who was recalled from Triple-A Iowa on Friday morning. Davis is batting .143 so far this season with Iowa, with one home run and two RBI in 14 at-bats with the minor league club. The Cubs will take on the Los Angeles Angels at Wrigley Field on Friday to kick off a three-game series. First pitch is slated for 1:20 p.m.